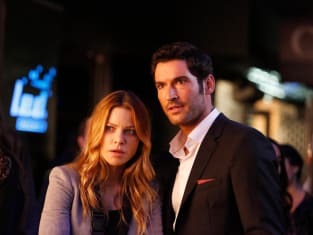 Lucifer Season 1 Episode 2: "Lucifer, Stay. Good Devil"
Dr. Martin: Sometimes it's easier to make intimate issues about something bigger than yourself. Lucifer: Well, there are a few things bigger than myself. Dr. Martin: I'm well aware. Permalink: There are a few things bigger than myself.